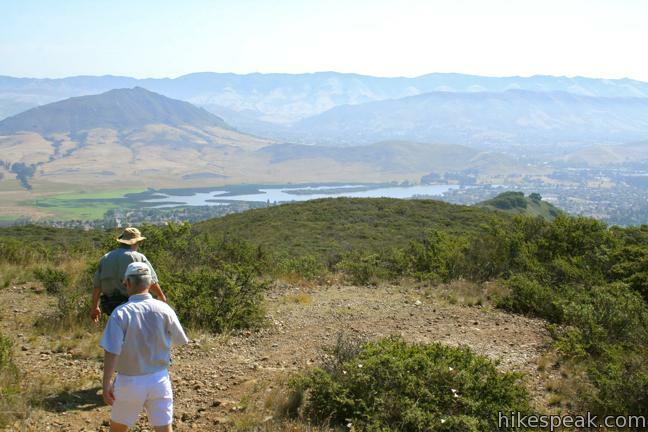 An expansive network of trails explore the thousand-foot ridges that make up the Irish Hills southwest of San Luis Obispo. While the regions notable chain of volcanic peaks gather greater attention from hikers, you can actually get a great view of the Morros from the Irish Hills, with smaller crowds. 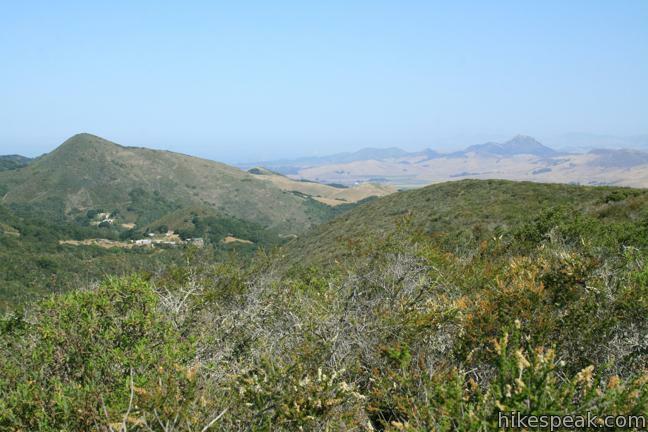 From Prefumo Canyon, one of the two main trailheads in the Irish Hills Natural Reserve, take Mariposa Trail to Morro View, a landing on the hillside where you can gaze seaward to the westernmost Morro, Morro Rock in Morro Bay. To the viewpoint and back is 3.15 miles round trip with 850 feet of elevation gain. Because Irish Hills Natural Reserve has so many trails, several alternative routes to Morro View are possible, including a 3.5-mile round trip hike from a less-used trailhead at the end of Sterling Lane. Don’t feel like warming up? Great. The hike gets down to business with a steep climb through an oak forest. After half a mile, Mariposa Trail meets Bog Thistle Trail. 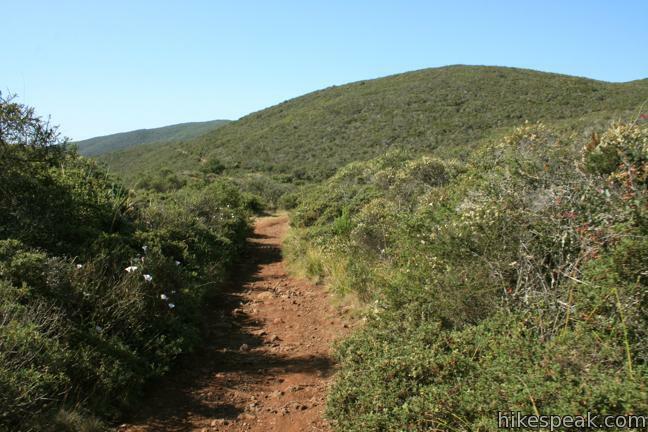 At the end of the hike, take this track back to the trailhead past a patch of rare thistle found only around San Luis Obispo. 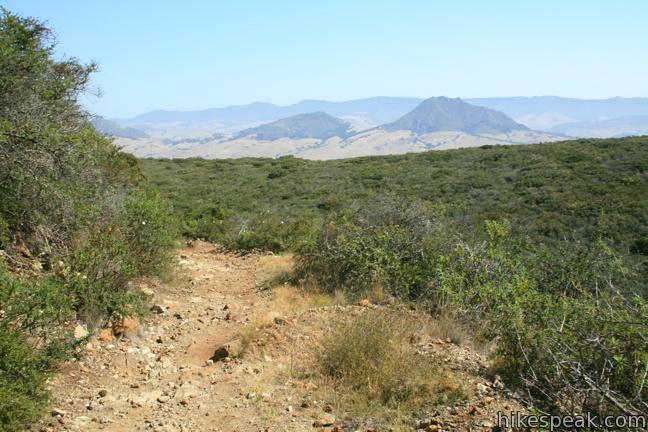 For now, continue up the trail through low chaparral and grasses that allow broad views over Los Osos Valley, Laguna Lake, Bishop Peak, Cerro San Luis, and much of San Luis Obispo County. The unassuming Irish Hills pack a powerful punch in the view department. This hike has a few rocky ascents. Open vistas will inspire you to reach the 1,030-foot viewpoint. On clear days, you can look up and down the line of rugged peaks called the Morros, gazng as far west as the iconic pointed rock in Morro Bay. An “End of Trail” sign at the terminus of Morro View Trail lets you know when you’ve reached the top. As a bonus, if you step behind the brush just west of the sign, you will find a small cave going straight down into the earth. 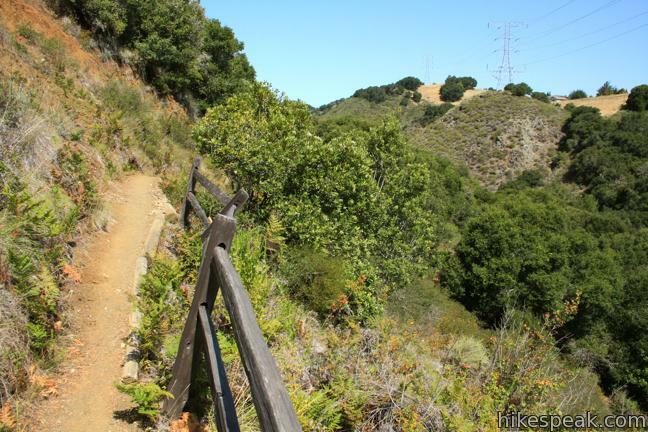 After exploring Morro View, retrace your steps and hike back down Mariposa Trail toward the trailhead. 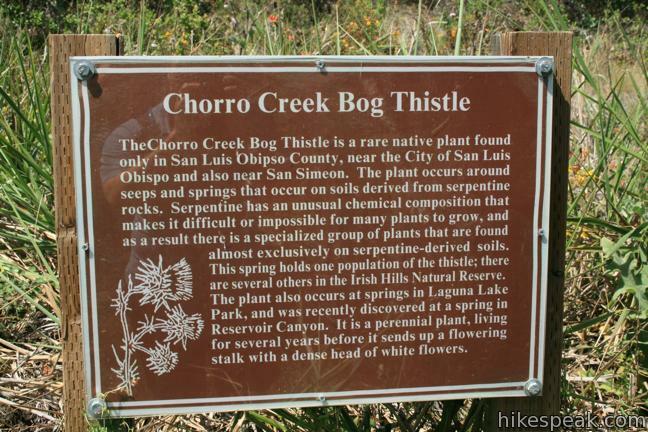 At 1.15 miles below the top, you’ll have a chance to take an alternate route down Bog Thistle Trail. Replace the last half mile at the bottom of Mariposa Trail and bear left down this 1/3 of a mile long singe track, which passes a patch of Chorro Creek Bog Thistle. 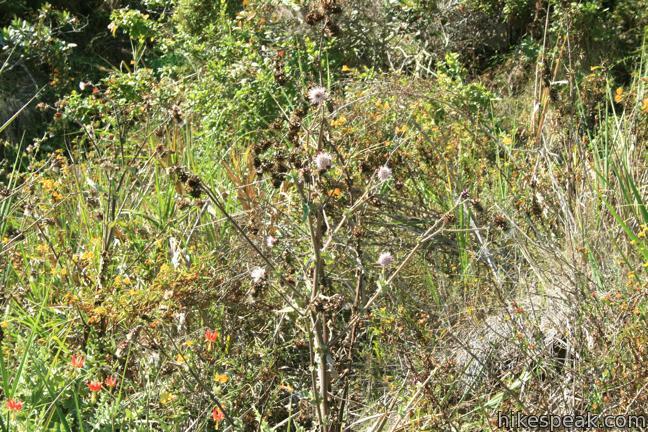 This is a rare thistle found only in San Luis Obispo County. If you are not satisfied with this 3.15-mile trek in the Irish Hills, you may delve deeper on trails exploring canyon and abandoned Chromium mines. Check out Froom Creek Loop for another hike in the Irish Hills. No fee or permit is required to hike in the Irish Hills, so get out and enjoy! Morro View from Sterling Lane: The directions for this slightly longer route to Morro View may be a little easier. Start from the trailhead at the end of Sterling Lane and take the first right onto Mariposa Trail. 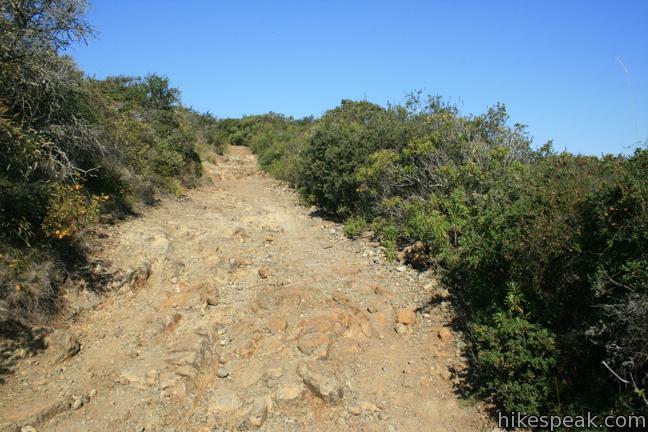 Follow this service road up the mountain for 1.4 miles to the turnoff for Morro View Trail. Turn left to hike to the viewpoint. This route is 3.5 miles round trip hike with 825 feet of elevation gain. 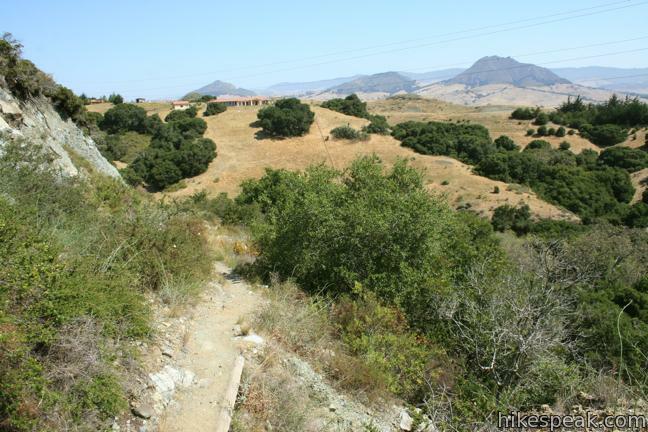 To get to the trailhead: Take Highway 101 to exit 200, Los Osos Valley Road, three miles south of downtown San Luis Obispo. Drive northwest on Los Osos Valley Road for 1.5 miles and turn left on Prefumo Canyon Road. Pass Isabella Way on the left and Castillo Court on the right. 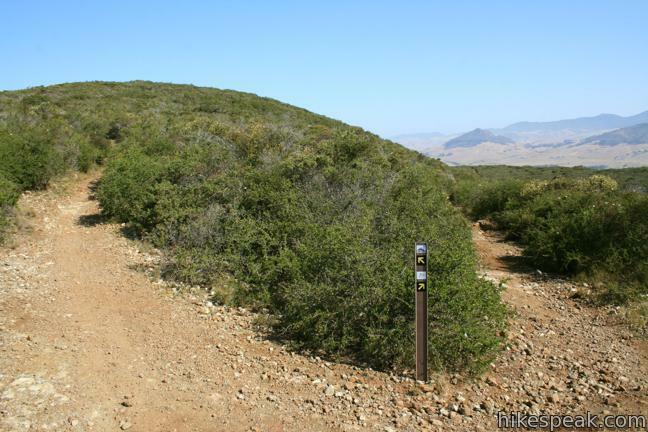 Leave the residential area, cross a bridge, and turn left into a dirt parking area for the trailhead, 0.9 miles from Los Osos Valley Road. Mariposa Trail begins from the end of the lot. These photos were taken in July and December of 2011. Click to enlarge. 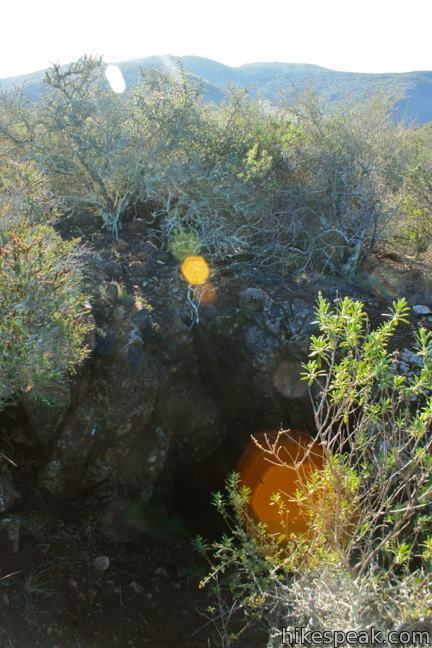 This 3.4 to 4.4-mile hike ascends a rugged ravine off Froom Canyon to the ruins of an old mine. 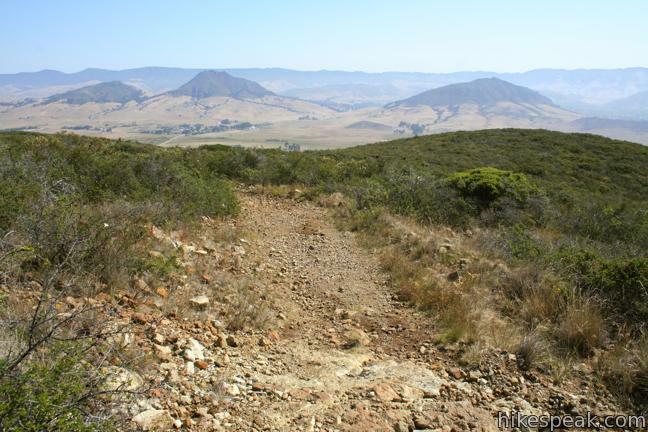 This 2.5 to 3.7-mile loop explores a grassy open space just south of San Luis Obispo. 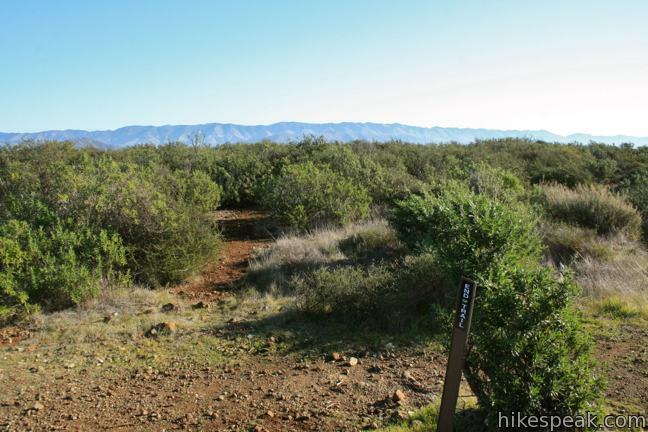 This scenic 5-mile point-to-point hike connects Johnson Ranch Open Space with Irish Hills Natural Reserve. 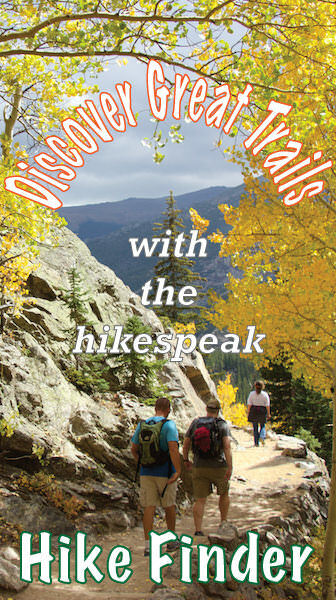 Do you recommend this trail for someone older, who is not in great shape? Also, are there a lot of snakes visible on the trail? It’s hard to predict when shakes will appear. This trail does have steep sections and very little shade. The nearby loop up Froom Canyon would be an easier option if you are looking for a hike in the Irish Hills.